Just because rabbits are known to be clean animals, it does not mean that this will save you from the petgrooming attention they deserve to have. Although a rabbit spends a good deal of his time grooming himself to maintain the quality of his coat and skin, it is still recommended to provide him some care as an owner to a pet. 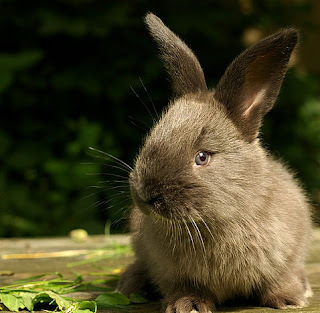 Like other pets, a rabbit still depends on its owner to have a set grooming plan who must strictly stick to it to ensure that the pet will be in its prime condition. The most important part of the rabbit's body that you should look out for is its hair. The best way to groom the rabbit is by brushing its hair at least once a day. This brushing time is not only for your rabbit's well being but yours as well since it serves as a bonding time for both you and your pet. The significance of brushing your pet rabbit's hair is to remove any dead or loose hair which your pet can swallow. When this happens, hair can accumulate inside the rabbit's body resulting to a hairball. The existence of a hairball in the body of a rabbit can lead to the blockage of your pet's digestive system which will entail cost on your part especially if surgery is needed to remove the hairball. A known fact about rabbits is that they usually shed their coat every three months, so during this time it is best to increase the frequency of the brushing of the rabbit's coat. You must also be ready to vacuum your house more often when the rabbit sheds its coat. Since rabbits have very delicate skin, a soft bristled brush is recommended when grooming. A properly groomed rabbit is indeed a sight to behold. It will take a huge amount of effort on your part to keep your pet's hair clean and free from mats. Keeping your rabbit's hair short and easy to groom will help your pet to stay comfortable during warm summer days. If you are having qualms as to trimming your pet's hair, you can bring your rabbit to a professional groomer and allow yourself to observe how they groom your pet so that the next time grooming is required, you will be able to do it on your own.Another point of interest which you should take note of with your pet is its nails. You have to make sure that your rabbit's nails aren't too long because even if they look pretty, they can damage your carpet by scratching on it as their way of trimming their nails on their own. Since rabbits are very delicate animals, you have to make sure that you do not cut the nails too short or you risk having them bleed which can be very uncomfortable to your pet.If you are still not confident in personally grooming your pet, don't hesitate to bring him to the nearest veterinarian or grooming parlor to have him groomed. From there, you can learn the basics which you can apply when it is your time to do so.